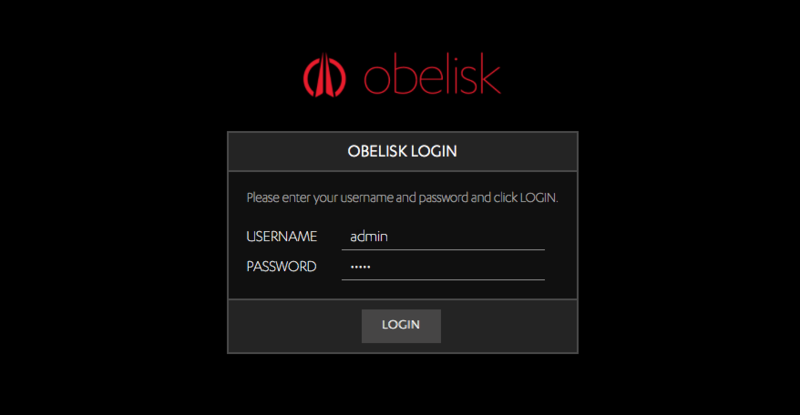 Knowing your Obelisk's IP address is important, mainly because you'll need it whenever you want to access the Obelisk Dashboard. While you can use an IP scanner and hunt it down, we've built an app specifically for finding the IP of all Obelisks on your network. Your Obelisk's IP address can change. Always use Obelisk Scanner to make sure you are using the latest IP for the Obelisk you want to access. The app has a couple main sections – the red buttons to the left and the white area to the right. You'll see some logging info appear below the buttons – this is the app giving you some behind the scenes logs as it searches. Make sure your Obelisk is physically set up and powered on. This is the default view. Start Obelisk Scanner and decide whether you want to do a Smart Scan or look for an IP Report. 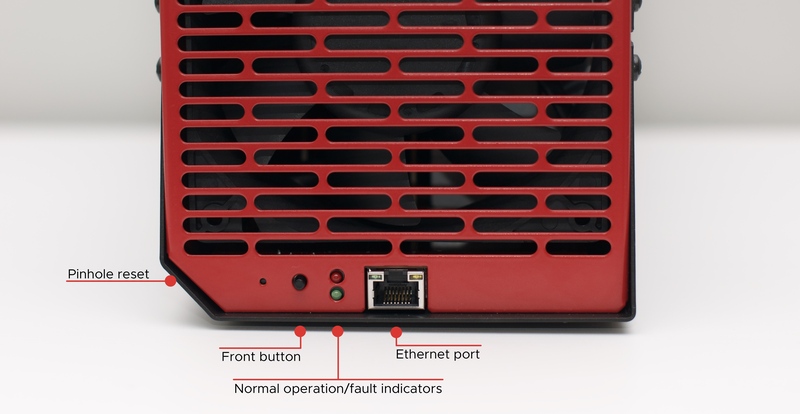 The Start Smart Scan button tells Obelisk Scanner to automatically search for all powered on, Ethernet-connected Obelisk units on your network. The important info can be found to the right. You'll see the IP address, MAC address, and model of each device. Open Obelisk Scanner and click Start Smart Scan. This image shows a single Obelisk that has been found on the network. Smart Scan can take a couple of minutes to find your Obelisk, especially if you have many devices on your home network. Take the IP address for the Obelisk you need, enter that into your computer's browser, and you'll be taken to the Obelisk Dashboard login screen for that unit. The IP Report (mDNS) button tells Obelisk Scanner to look out for IP report packets issued from Obelisks on the same network. Open Obelisk Scanner and click IP Report (mDNS). Press the front button on your Obelisk unit for one second. Obelisk Scanner will display the IP of that Obelisk. Take the IP address, enter that into your computer's browser, and you'll be taken to the Obelisk Dashboard login screen for that unit.